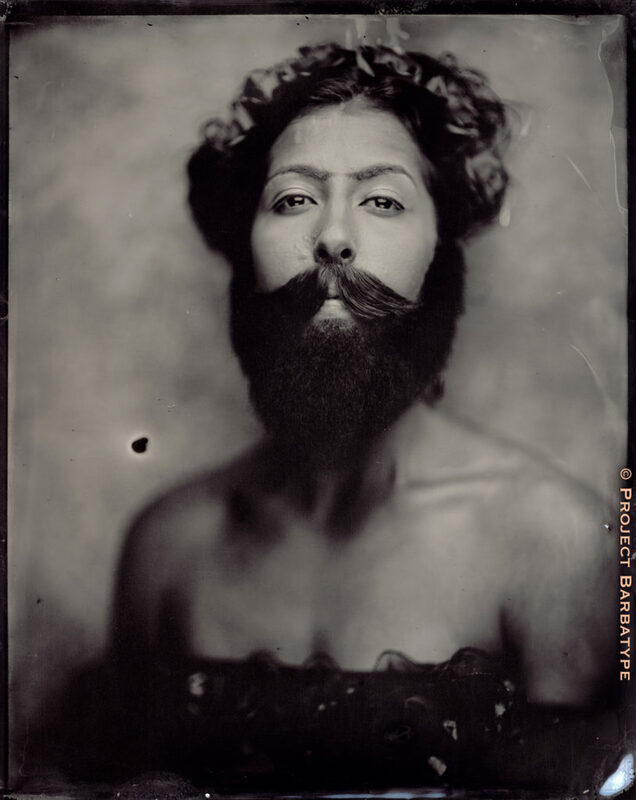 Scott Hilton’s and Bryan Wing’s tintype photographic portraits of bearded men and women competing in international beard and mustache competitions examine notions of masculinity and fetishistic desire. 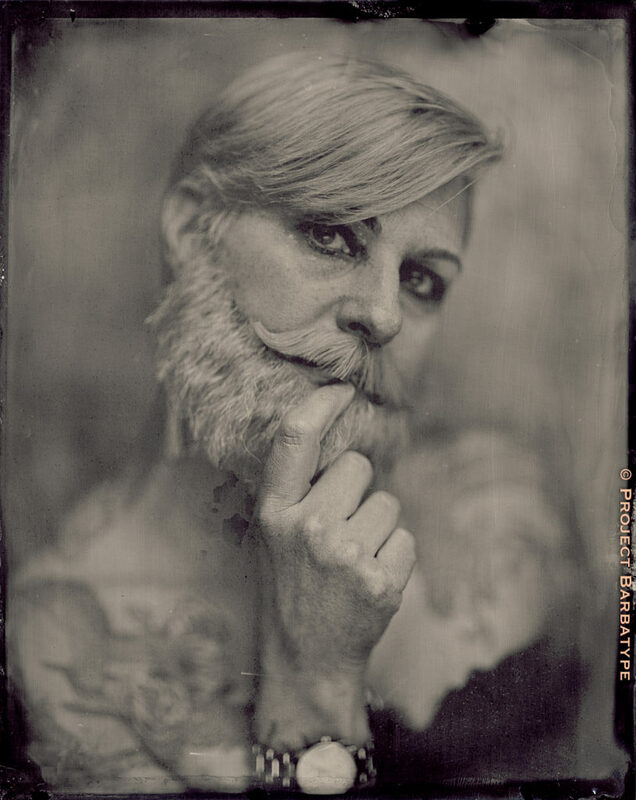 Using a 19th century camera and wet plate collodion process, the photographs harken back to early daguerreotype images of soldiers before battle. The images’ beauty seduces, while simultaneously evokes sexual tension. 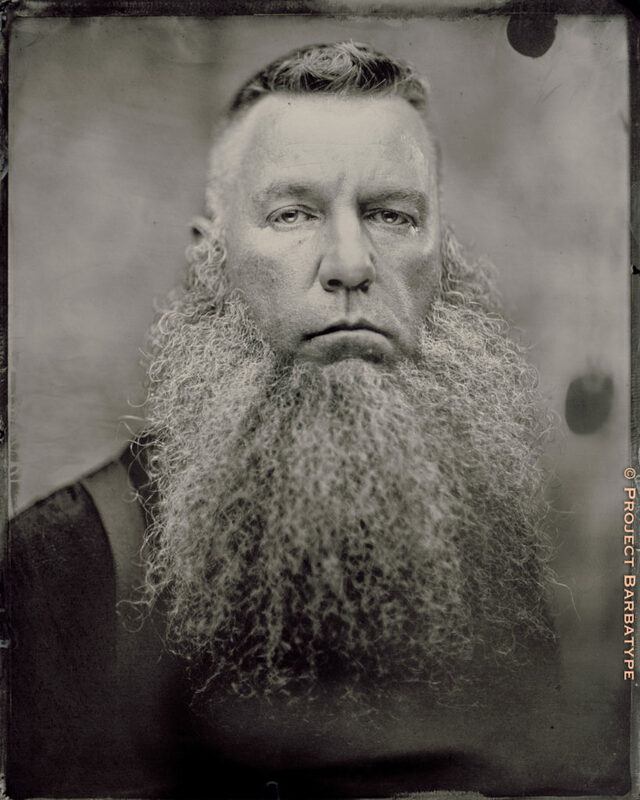 Departing from the traditional “freak” portraits by photographers such as Joel Peter Witkin and Diane Arbus, Hilton/Wing venerate their subjects’ flamboyant facial coiffures. 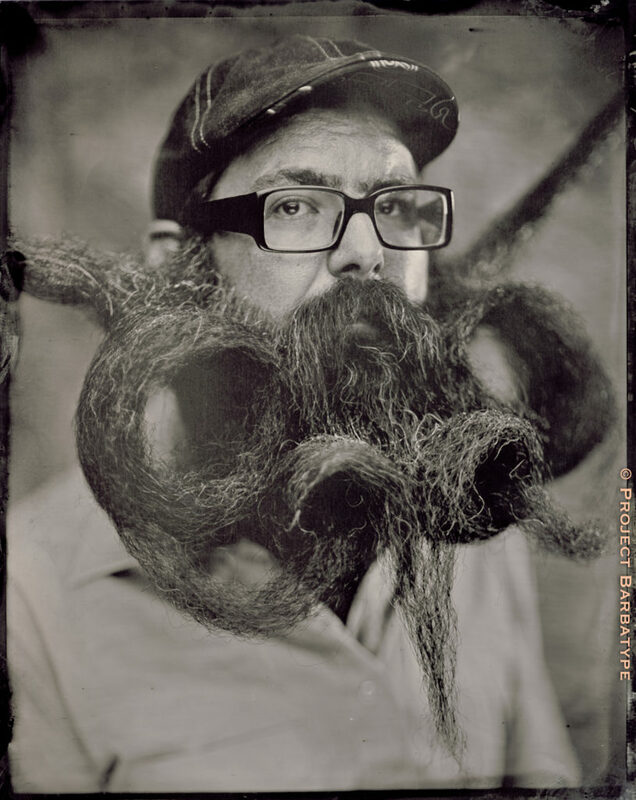 In beauty culture, where excessive $$ is spent both removing and implanting hair, it is refreshing to see hair celebrated–hyped to runway fashion extravagance.